Republican Centre for Technology Transfer as a co-organizer invites R&D and industry experts, innovation SMEs to participate in the Brokerage Event "Innovan&Match 2018", which will be held in Bologna, Italy from 7 to 8 June. Innovan&Match 2018 is two days of bilateral meetings among companies, research centres and universities organised by ASTER and the Emilia-Romagna Enterprise Europe Network partners of the SIMPLER Consortium. The State Scientific Institution "The B.I.Stepanov Institute of Physics of the National Academy of Sciences of Belarus" will represent the NAS of Belarus in International Specialized Exhibition "Laser World of Photonics India 2018" (September 26 - 28, 2018, India, Bangalor). Achievements and proposals for cooperation of The B.I.Stepanov Institute of Physics of the National Academy of Sciences of Belarus and other organizations of the NAS of Belarus you can find on the Virtual exhibition of the National Academy of Sciences of Belarus. A Belarus R&D institute developed a technology of high voltage electrochemical oxidation. The technology is used to form hardwearing aluminium ceramic coatings on products from aluminium alloys. Coating properties: hardness up to 8 GPa; roughness < 0,05 µm; thickness up to 70 µm. The institute is looking for industrial partners or R&D organisations for commercial agreement with technical assistance, license agreement or research cooperation agreement. The Republican Unitary Enterprise "The Scientific and Production Center of Multipurpose Unmanned Systems" will represent the NAS of Belarus in the International military-technical forum "ARMY-2018" (August 21 - 26, 2018, Russia, Cubinka). Achievements and proposals for cooperation of the Republican Unitary Enterprise "The Scientific and Production Center of Multipurpose Unmanned Systems" and other organizations of the NAS of Belarus you can find on the Virtual exhibition of the National Academy of Sciences of Belarus. The FLC Technology Transfer Desk Reference presents a comprehensive introduction to the federal technology transfer process and the technology transfer initiatives, procedures, and mechanisms that are used to implement technology transfer. The primary goal of the Desk Reference is to help technology transfer practitioners become effective facilitators of technology transfer by explaining what technology transfer is and why it is necessary, relating the processes and mechanisms that make it happen, and describing issues and procedures useful in identifying and transferring technologies from the government sector to the private sector. 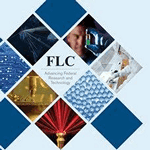 The FLC Technology Transfer Desk Reference is available under the link.